When my son was one, we were sitting on the sofa together – and ouch! I remember the pain very well. It was followed closely by a feeling of absolute outrage. My baby had bitten me! The next time he bit me, my determination intensified. I told him in a very clear voice that he mustn’t bite. I wanted him to understand. So, when it happened again, I put him into a next door room – and shut the door. But even as I was closing the door, I saw it. I saw his lower lip tremble. I saw him look scared. In an instant, a new feeling took over: guilt. Guilt that I was creating fear in my beloved baby boy. I felt so bad about this. In fact, to this day I feel vulnerable sharing it – because this wasn’t my most glorious parenting moment. But I feel it’s important to share it with you, because as parents we do so much PRETENDING that everything’s fine and that we’re managing – when we’re not, we’re feeling bad, confused and often ashamed – as I was feeling. Of course, needless to say, he still didn’t get it about the biting. She wanted him to understand that violence isn’t on. 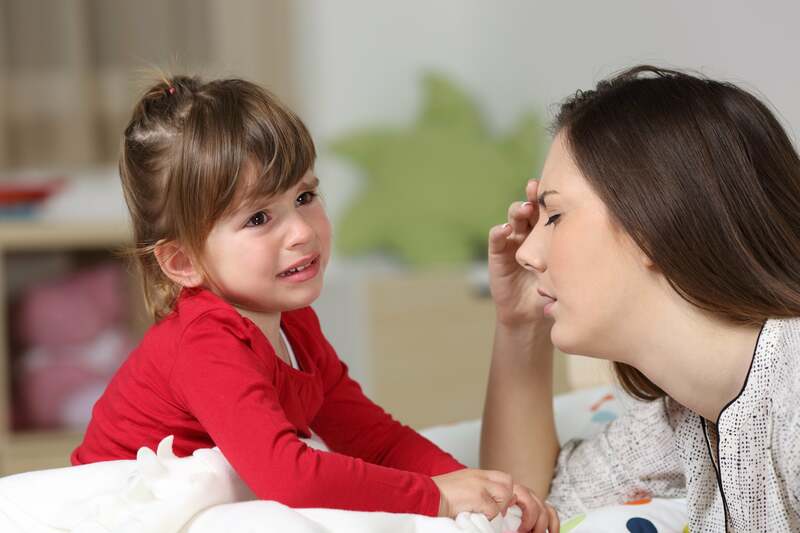 At the same time, she felt really bad about shouting – and ashamed that she was turning into exactly the kind of mum she’d vowed she’d never be. Are you familiar with this sequence? Frustration -> Explosion – > Guilt? If you are, I really want this to change for you, because I’m sure this cycle is causing you heartache. So, what can you do about it? 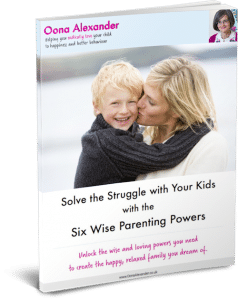 How can you get your children to understand – and avoid the frustration-explosion-guilt sequence? We can’t make them get it! We can’t make our children understand that it’s wrong to bite – or to hit their sibling. There’s nothing we can say or do that will communicate this in the moment. There’s no way of putting it – or tone of voice that we can use – that will get your meaning across. Children need time to learn these things. So, we might as well let go of trying to “make them understand”. Ask for the behaviour you want. You can tell your child clearly, and yet also kindly, that you don’t want them to bite – or whatever the behaviour is you don’t want. Model the behaviour you want by being as respectful and gentle with your child as you can. It’s possible to be gentle and firm at the same time. This is not an exhaustive list at all. Helping our children learn to cooperate and become socially aware is a huge topic, which I teach in my programmes. However by reading this blog I hope you can let go of something that might be in the way for you – that belief that you have to get them to understand, once and for all. Instead try to feel as if you’re in a process with your child. When you soften, so will your child! That’s the beauty of it all. So, I really recommend you step into a new life where you don‘t feel that incessant pressure on yourself to make your children understand that they mustn‘t do this or that – once and for all. It can’t be done – ok? Instead why not dig the soil, plant the seed, water their understanding and watch it grow? Cultivating is a whole lot more fun!